"The fact that no one knows who Babay is and what he looks like makes him the most interesting one. Children are forced to conjure up the most repulsive, scary creature their minds are capable of." 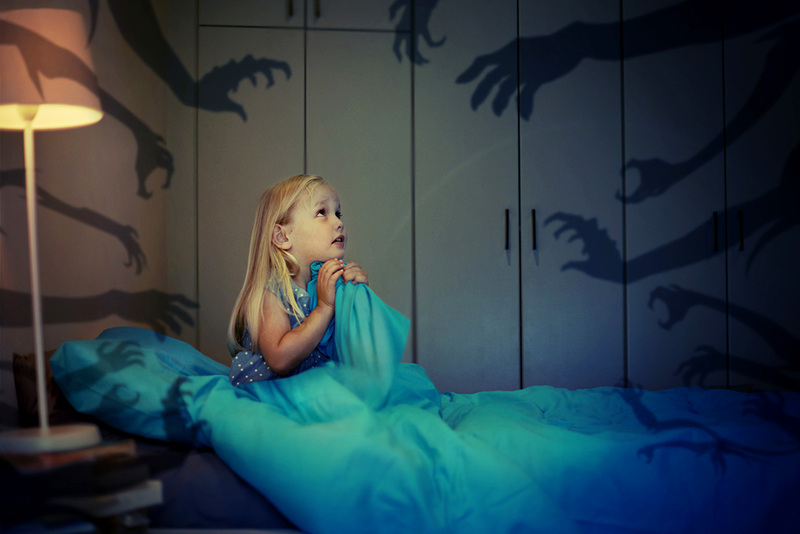 Parents tell their misbehaving children scary stories worldwide and Russia is no exception. Ugly fairytale characters, the police, and even God Almighty himself – here’s some of the most well-known examples used for frightening naughty kids. It all started when Irina Leshkova, a psychologist from Moscow, asked her Facebook friends to describe ways their parents or relatives tried to scare them during their childhood (if at all). She later mentioned in an article for Letidor that she was shocked with the influx of comments – there were about 100, some of them telling truly horrifying stories. Psychologists agree that it’s irresponsible and damaging to spook children on purpose; it may harm their self-esteem and make them distrustful of parents. However, it’s interesting to examine who and what Russians use - and used - to frighten children, and for what reasons. One of the most well-known characters used for scaring kids in Russia is Baba Yaga, the old ugly witch from ancient legends. Grey-haired and sharp-toothed, she flies around in a giant mortar, wields a huge pestle, is experienced in dark magic, and enjoys the taste of children’s flesh. The words: "Unless you stop making a mess Baba Yaga will eat you!" are sure to terrify any child - until they stop believing in fairy tales, that is. Other famous scary villians include Barmaley (a cannibal pirate from Korney Chukovsky’s fairytale) and Babay. The fact that no one knows who Babay is and what he looks like makes him the most interesting one. Children are forced to imagine what he looks like, meaning they conjure up the most repulsive, scary creature their minds are capable of. Denis Gusakov - in his reply to Irina Leshkova’s post - wrote that during his childhood he was told Babay lived behind the ventilation grating in his parents’ house and ate children who consumed their soup too slowly. Answering the question "How did it affect you?" he said that he had been afraid of the dark for a long time and "had eaten my soup pretty damn fast" thereafter. Parents tend to use more plausible threats to scare older children. It certainly makes a child shake with fear to hear that some "bad men" will take him or her away from their parents. For example, Natalya Znakhurenko told Irina Leshkova that during her childhood she had been constantly afraid that "drunken men" from the street would kidnap her. She’s hated drunkards ever since. Back in the USSR children were sometimes warned about gypsies. Parents said misbehaving juveniles would be stolen by the frightening travellers and take them to some unknown land. The legend was born because gypsies’ have nomadic roots. "They usually carried big bags with them and every time we saw them we were afraid that they would put us in these bags and run away," Oleg, 43, told RBTH. Ironically, when people describe their childhood fears they tend to list criminals and the police in the same category. Being scared of the authorities has persisted among children since the Soviet times. Back then parents usually told their kids: "If you behave like this they will expel you from Little Octobrists or Young Pioneers (Soviet youth organizations)!" There are no Octobrists or Pioneers nowadays, but the police still exist and are used to terrify Russian children. Perhaps the greatest fear for a little child is to be left without his or her mother and father. That’s why one of the most common and the cruelest threats for children in Russia is to leave them in an orphanage. At least two people commenting on Leshkova’s post recalled that their parents had actually driven them to orphanages before pretending to change their minds at the last moment. Leshkova herself believes that such tricks are torturous for children and inexcusable for parents. "I put myself in the place of a four-year old who is threatened to be put in an orphanage and terror seizes me. The closest person to me in the whole world, my mother, rejects me!" the psychologist wrote. In Russian religious families elders sometimes tell children that God will punish them if they do not act properly. For example, a user with a nickname "Aqua Luminaris" wrote: "My relatives scared me with God’s punishment, which would happen anytime, without me knowing when exactly." This one seems to work for some grown-ups as well. The most God-fearing children tend to be afraid even if their parents do not frighten them on purpose. "Once my mother read me the chapter from the Bible depicting Noah’s flood. It had such an impact on me that I was horrified every time it rained – I was thinking that God planned to destroy mankind once again," Egor, 24, told RBTH.